Traditional silk lanterns, coming to Vietnam several centuries ago via Chinese merchants, are a special product from Hoi An – one of busiest commercial centres in Southeast Asia in the 16th-17th centuries. 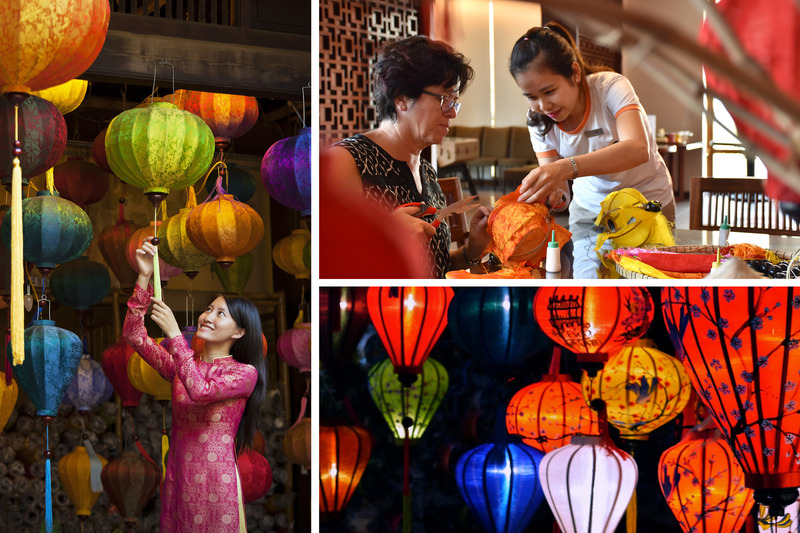 The lantern craft in Hoi An has since become world-famous. In the past, Vietnamese people often hung the lanterns with oil lamps on the eaves and both sides of the door to light up the whole quarters with a glowing, mysterious light at night, with hopes to bring in good luck and warmth for the town as well as happiness for the family. Vietnamese people now use Hoi An lanterns in all special events and festivals such as Lunar New Year or Full Moon Festival or simply to decorate their houses and shops. Nowadays, the lantern craft has amazing diversity with many shapes such as sphere, hexagon, diamond, tetragon, and circular cylinder.